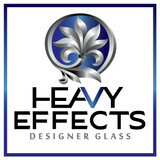 Heavy Effects Decorative Glass is a line of decorative mirror and glass wall art designed for interior and exterior spaces. We specialize in applying a variety of artistic treatments to different types of reflective and translucent surfaces to create one-of-a-kind looks. We are dedicated in our efforts to seek out the most efficient and effective ways to bring high-end designer looks that uniquely work in every space, while bring high-end designs at an affordable cost. We welcome complex ideas and are passionate about designing high-quality decorative glass. Established in 2016. Clear Choice Glass & Mirror is your local expert provider of glass and mirrors, offering quality installation, repair and replacement services to residential, and commercial in all Valley's of Arizona. We carry materials for interiors, exteriors and autos. We offer emergency service for all your after hour needs. We offer mobile service so there no need for us to come back out twice, This makes it easier for homeowner to get there window, glass, and or mirror replaced with out taking another day off of work, or out of there busy day. Turn to Pristine Glass & Mirror, LLC, for your next project. With over 25 years experience, we work hard to bring each customer the best possible service and quality available. We want to make sure that each of our customers are satisfied with the quality of the work that we give. We look forward to working with you on your next project. We welcome your questions and thank you for your interest. True View Windows & Glass Block Inc. True View was founded in 2000 and has become the locally-owned leader in customer satisfaction and service. Ready to replace your old windows and reduce your energy costs with new Low-E, dual-pane windows? Call True View for a choice of windows from top brands like Milgard, Plygem, Simonton, Hy-Lite Block and more. They’re going to give you that lower utility bill plus your new windows will add value and curb appeal to your home! Whatever you need, call True View. From beautiful decorative glass, including stained glass, to window screens, glass replacement.. from mirrors and shower doors to great ideas, it’s all just a phone call away. Crystal Clear View Glass Company offers great customer service. 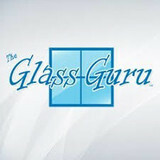 Our company has the knowledge to accommodate all of your Auto, Residential and commercial glass needs! We strive to be the best and we do so by using state of the art products so you can get the best warranty possible. Our number one goal is that you have the best experience possible, so when we complete your project you have no doubt that you made the right choice. Crystal Clear View Glass Company has a combined experience of over 25 years in the business. Crystal Clear View Glass Company was established back in 2008. We have continued to grow each and every year due to our honesty, integrity, friendly staff. Diamond Glass & Mirror, Inc.has been serving the greater Metro Phoenix area for the past 20 years. We operate the business out of a 12,000 sq. ft. office / warehouse located in the Scottsdale Airpark. Customers can come in and view many of our products in our Showroom. We provide and install a wide range of products. We specialize in custom “frame less shower doors and custom mirror work. In addition we provide mirrored closet doors, bath accessories, glass shelving and tabletops. Diamond Glass has always believed that what separates us from our competition is our commitment to customer service. This is evidenced by our A+ rating with the Better Business Bureau. We have been doing business with many of the area’s most well known Production and Custom Home Builders since our inception. We provide free estimates and welcome your questions. We look forward to working with you on your next project. 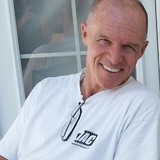 Pro-Glass is a family owned company with over ten years experience in the glass business. We consistently deliver the highest quality service and performance to our customers throughout the valley. You can place trust in our work knowing that we are fully licensed, bonded and insured. We provide immediate response and free onsite quotes within 24 business hours. The highest compliment we can receive is the opportunity to help your family and friends with their glass needs. Spending my childhood around a family-owned business specializing in customizing cars, I was fortunate to receive many years of experience and knowledge that enabled me to pursue this as a career. In 2012, I obtained my window-tinting certification through a trade-school program, and immediately knew it was my passion. I've spent the past years fine-tuning my craft and building my skills. I take great pride in providing my clients with quality workmanship. I am meticulous and thorough, and will respect your property as if it were my own. Whether it be your vehicle, home or business. I look forward to providing you with top-of-the-line service & products at competitive pricing. What can a local Scottsdale glass company help me with? If it’s a major home glass repair or replacement, the Scottsdale glass company should work directly with your insurance company to help bring down costs for you, if applicable. Find Scottsdale glass companies on Houzz. Narrow your search in the Professionals section of the website to local glass, mirror and shower door services in Scottsdale, AZ and read reviews and ratings to find one that fits your needs.